A few years ago, a friend introduced me to Dr Karg’s crispbread and I was totally hooked until I realised how expensive they were and I became less enamored. At nearly eight dollars a 200 gram packet, they felt like more of a luxurious treat than something you would eat every day. I searched on the internet for a recipe for a Dr Karg-style crispbread but didn’t come up with any satisfying recipe to replicate them at home, so I gave up and forgot about Dr Karg and his addictive crispbread. 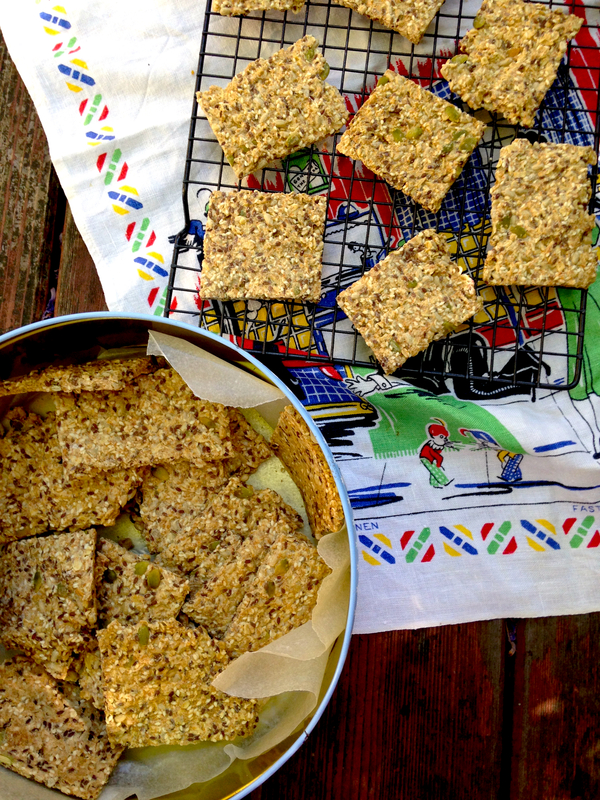 Then, during the September school holidays, we spent a week in Forster on the northern NSW coast and, during a trip to the Nabiac farmers markets, I bought a packet of locally made Swedish seed crackers that were just like Dr Karg’s but in a bite-size cracker. When I got back home, I Googled the ingredient list with name “Swedish cracker” and hit the jackpot with a mother lode of recipes for this traditional Swedish seed cracker known as knackebrot. It seems like Dr Karg didn’t invent his seed cracker after all. There are a lot of recipes for Swedish seed crackers, some of which use yeast (a hassle) and most of which require a rolling out of the dough (more hassle). This recipe from the New Zealand Women’s Weekly is brilliantly simple though: it uses no yeast and you mix together the ingredients into a porridge-like consistency, spread it over oiled trays and bake them in a low oven for 1–2 hours. The first time I made these crackers, it made enough mixture for two and half trays, more than my oven could accommodate, which made for a very extended baking time. I’ve cut down the original recipe to make a smaller mixture – this recipe makes two large trays (approximately 35 x 35 cm), which is as much as my moderately-sized oven can take. You can play around with the seed and flour combinations and this recipe could be easily adapted to a gluten-free version. 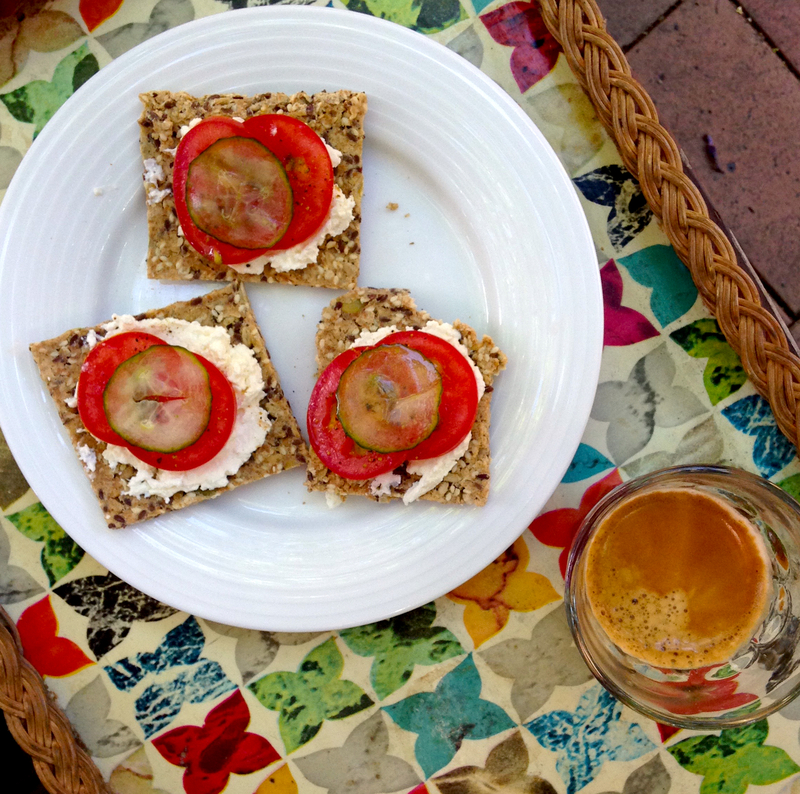 Eat your heart out Dr Karg: these homemade crackers are as addictive as the original Dr Karg crispbread. 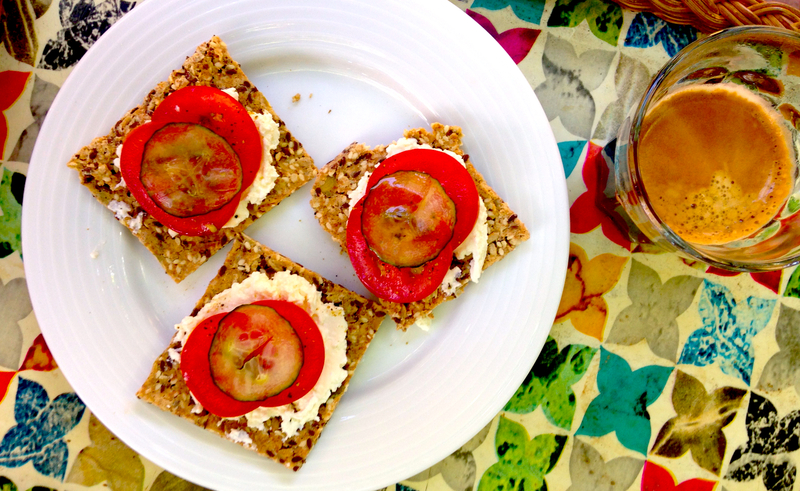 They make a brilliant summer-time breakfast or lunch served with some cottage cheese and tomato, or your favorite crispbread topping. Combine flour, oats, seeds and salt in large bowl. Add water and olive oil and mix until combined. The mixture should be the consistency of porridge. Add more water if it is not wet enough. Bake in oven for 15 minutes, then cut into square crackers or large crispbread rectangles (I make my crackers Sao size – about 6 x 6 cm). Return to oven and bake 1–2 hours, until lightly golden and crisp. Cool on wire racks and store in airtight container for up to two weeks or more.